Compliance Coal: EAO not treating fairly the Raven EA review. VANCOUVER — There is good news and bad news for B.C.’s beleaguered coal industry. 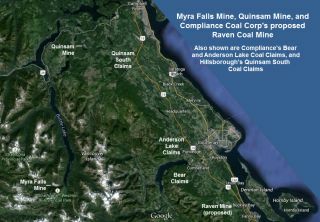 Compliance Coal Corporation has less than three weeks to save its bid to build a coal mine near Buckley Bay, less than 50 kilometres from Qualicum Beach. The Environmental Assessment Office (EAO) is giving Compliance until August 28 to submit more information about its proposed Raven coal mine operation. 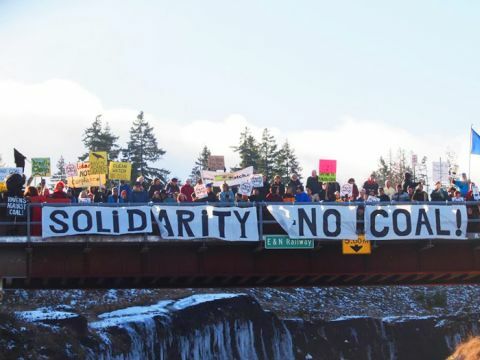 On June 4, 2015 CoalWatch Comox Valley Society submitted a written request to the Environmental Assessment Ofﬁce (EAO) asking that the environmental assessment (EA) for the proposed Raven Coal Mine Project be terminated by the EAO. "... the EAO has notiﬁed CoalWatch that ... the EAO requested Compliance Coal provide information on Compliance’s project plans and ... the continuation of the EA. The EAO requires this information by August 28, 2015." CoalWatch President John Snyder presents Dr. Gilles Wendling with a gift of appreciation for his efforts on the Raven Coal Mine issue. 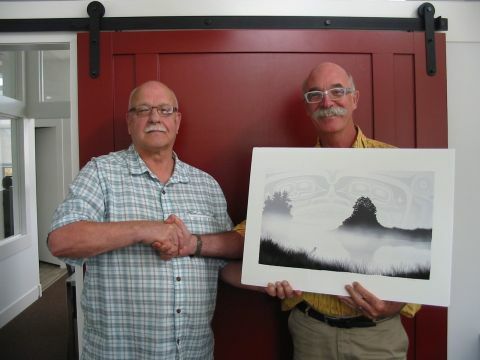 As a token of our appreciation, CoalWatch Comox Valley Society would like to present to Dr. Gilles Wendling the limited edition print “Stillness” by artist Andy Everson. Mine Project near Fanny Bay, BC. In part, because of Dr. Wendling’s efforts, the proposed Raven Coal Mine Project has thus far been thwarted, and the project will continue to face widespread opposition. Presented by John Snyder, President, on behalf of the Board Members of the CoalWatch Comox Valley Society. President Obama’s Clean Power Plan has rightly been hailed as the most important action any president has taken to address the climate crisis. The new rule requires the nation’s power plants to cut their carbon dioxide emissions to 32 percent below 2005 levels by 2030. 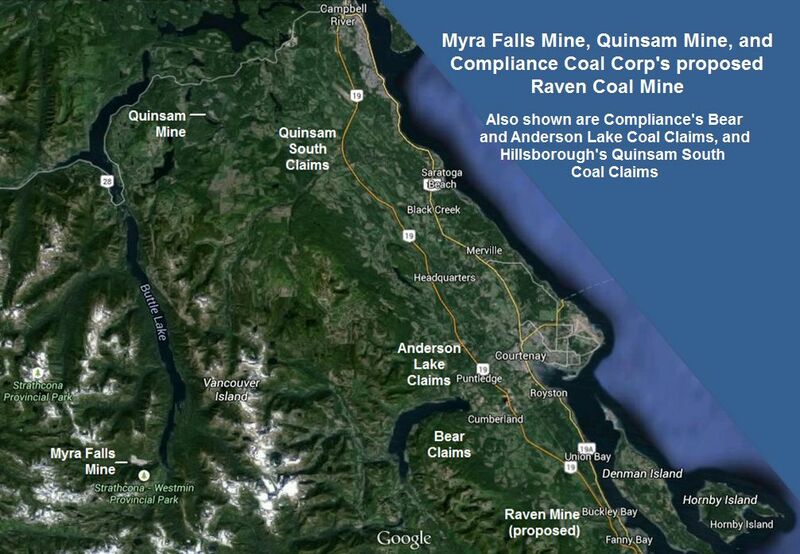 Despite the loss of one minority partner and the apparent loss of another, Compliance Energy Corporation still intends to forge ahead with the proposed Raven underground coal mine in Baynes Sound. Vancouver, Canada, July 30, 2015 - Compliance Energy Corporation (the “Company). announces that its share capital will be consolidated on the basis of one (1) new common share without par value for every ten (10) existing common shares without par value (the “Share Consolidation”) effective at the opening of the market on July 31, 2015. There are presently 78,139,283 common shares without par value issued and outstanding and following the share consolidation, there will be 7,813,928 common shares without par value issued and outstanding. VANCOUVER, July 17, 2015 /CNW/ - Compliance Energy Corporation ("Compliance" or the "Corporation") announces a proposed consolidation of its share capital on the basis of one (1) new common share without par value for every ten (10) existing common shares without par value (the "Share Consolidation"), so that the issued and outstanding common shares of the Corporation are altered from [78,139,283] common shares without par value to approximately [7,813,928] common shares without par value, subject to adjustment for any further share issuances made by the Corporation prior to the Share Consolidation being made effective. Itochu and LG leave the Comox Joint Venture; Compliance Energy "thwarted"
2015 and LG International Corporation of Korea (“LGi”) have also informed the Company of their planned withdrawal from the project. The Quinsam Coal Mine will suspend all coal mining activity for an eight-week period beginning July 1, the company announced Tuesday morning. The suspension results from high inventory levels created by ongoing weak demand and depressed pricing for thermal coal. Tseshaht First Nation has called on the provincial Environmental Assessment Office (EAO) to officially terminate the proposed Raven Underground Coal Project based on its failure to meet the statutory requirement to have a project application approved by June 7, 2015. 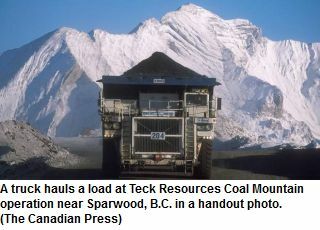 Teck Resources Ltd. said on Thursday it will implement temporary shutdowns at its six Canadian steel making coal operations for about three weeks in the third quarter, to align production and inventory with changing coal market conditions. B.C. Ministry of Mines technical experts are heading to the Myra Falls mine near Campbell River this month to scrutinize plans to make sure the tailings storage facility won’t be breached in rainy season. Compliance Coal’s withdrawal of their latest Application for the proposed Raven Coal Mine Project from the BC Environmental Assessment Office’s evaluation screening process is a significant setback for Compliance, and a victory for those who have opposed this ill-advised project for more than 5 years. Compliance Energy Corp. has released its 2014 Audited Financial Statements and the Management Discussion & Analysis (MD&A). As expected, the auditors included an "Emphasis of Matter" in its letter to shareholders indicating "significant doubt about the Company’s ability to continue as a going concern." 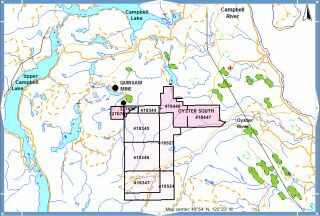 On April 14, 2015, Hillsborough Resources was granted an exploration permit for its "Quinsam South" coal claims. 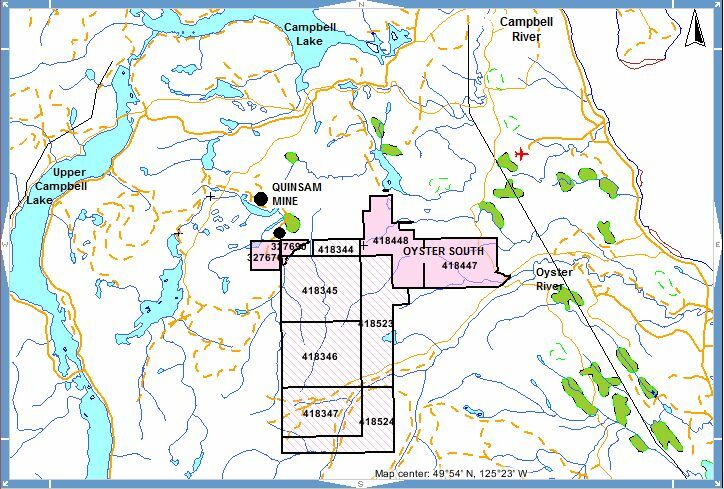 This permit allows the company to explore for coal for up to five years in its two claims (#418447, #418448) immediately southeast of Hillsborough's Quinsam Mine. An explosion at an open pit coal mine in southeastern B.C. has sent three people to local hospitals with second- and third-degree burns. 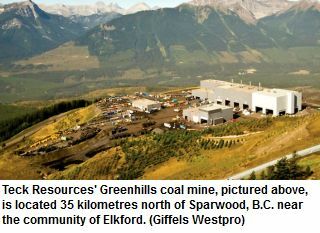 On Sunday, April 5 an explosion at Greenhills mine near Elkford occurred sending three to hospital with burns. The explosion occurred Sunday morning at approximately 11 a.m. STARS (Shock Trauma Air Rescue Society) was dispatched to the scene at 11:26 a.m.